Almost every day we get emails or phone calls: "When will my card come in the mail?" or "what is my CPU number?" All of these questions are answered below, so PLEASE READ before you contact us. 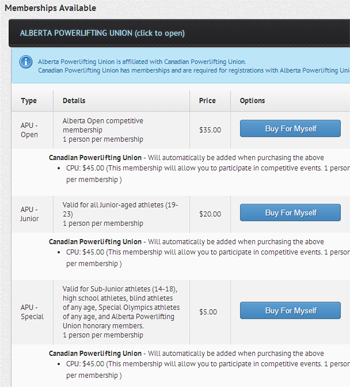 All memberships will show 2 parts, the portion that goes to the CPU ($50) and the portion that goes to your provincial organization (variable). They are good for one year from date of purchase. $5.00 of the CPU portion goes to support the CPU's Anti-Doping program. 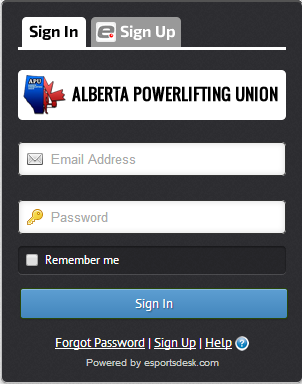 If you are a coach or referee and not a competing as a lifter, you may join the CPU with no provincial affiliation by clicking this link. Cost is $65. If you are a lifter also, please use the regular process. In order to join the CPU you must be a Canadian citizen or have Permanent Resident status, or be in Canada on a work or study visa. Person's on work or study visa's may participate in any contest, but cannot set national records or be on international teams. 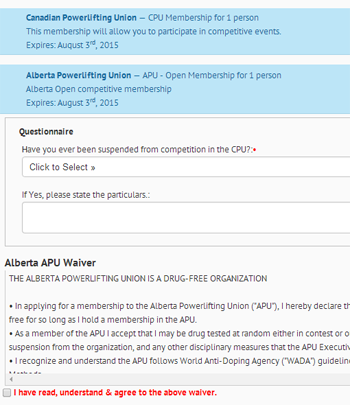 Other foreign nationals in Canada temporarily may participate in CPU events, but must have a valid membership from their own nation. At contests designated as "Championships" (Provincial or National) foreign nationals may only participate as guests, and cannot win medals or class standings. 1) Select your province of residence from above. 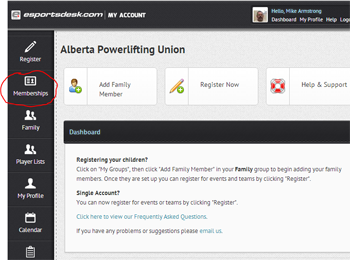 You can compete in ANY province but must get your card through the province where you live. 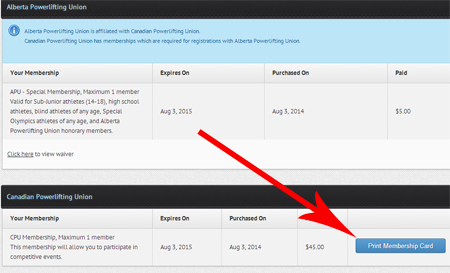 Note: If you are renewing your membership you should see a blue RENEWAL button. It will appear if you are within 30 day of expiring. 6) Next enter your credit card payment information, and other required info and complete the purchase. Some are reporting that they had to log out and back in to get the Print button. Membership cards are designed to fold over to fit in your wallet. See figure 6 below.